How do you define a Hippie, Marcus? 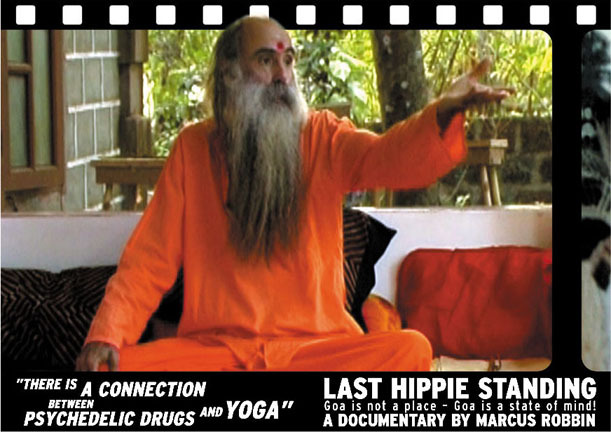 In the words of Walter (English chap) who has been in Goa since 1972 – A typical hippie is a person who believes in peace, love and freedom. If you want to live outside the system run by the government then you could become a hippie. Why this fascination with the Hippies? Around 25 years ago I witnessed my friends going where their parents were going instead of taking time off for reflection on life. You see, many people don’t take time off now instead they continue to stuff their heads with education. Searching for a meaning to life in general does not exist in this generation. I have always felt uncomfortable with mainstream society. The hippie felt so, that’s why I identify myself with them. I have been travelling to India since 1991 and I always found Goa fascinating. It is a mingling of cultures, unique in India, as it is, for the world. I feel that Goa is a place where there is a meeting of two cultures – East and West. It is nothing else then a disco ashram…the gateway to enter Indian ‘philosophies’ for it is here that there exists a profound background of spirituality. What inspired you to make this film ? Sometime ago I had written a script “Vermischung” (Mixing) because I wanted to highlight the interconnection of Europe and Asia on the cultural level; And specifically how places like Goa accelerate this process. It is essential to preserve the knowledge emanating from this fusion of cultures. This was the precursor to LHS. Have you seen the massive banyan tree at Arambol? It is symbolic of Goa. It feels like the whole world has been sitting under it. Its branches extending metres around are representative of people who have come to Goa and left taking its energy to another part of the Planet (even George Harrison sat under this tree). 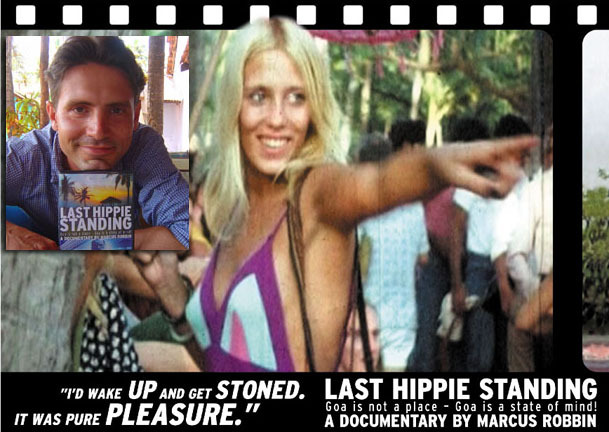 Last Hippie Standing, the first in a trilogy, demonstrates that Goa is not a place, it is a state of mind. Did you write the script ? In LHS there are three main protagonists – Cleo Odzer, Swami William and Goa Gill. Could you tell us a bit about them? No, we didn’t follow a script. I set up a number of interviews and hoped to meet the legendary “Cleo Odzer”, but was not sure we would meet up. Fortunately, she was here and she obliged me by sharing aspects of her life including handing over an invaluable cache of Super 8 film of the hippie era in Goa filmed in the moment! Cleo had different values, different aims and she tried to maintain the hippie values against all odds. On the one hand she was a fragile person and I felt she could break in the moment. I suspect it was an aspect of protection, maintaining this other world. Cleo was a ‘soft hippie’ – an integral element of the band of Groupies. In March 2001 she was found comatose in a hotel room in Goa and died two days later in hospital… “Sie war die Verkorperungder hippies” – She was the personification of a hippie. Swami William, I met in a bank while changing money! He was a hippie going into the spiritual and carrying it forward into our time. He has opened a Spiritual Park north of San Francisco and is now known as Swami Chaitanya. Goa Gill is a cyber-sadhu. He combines the hippie with a guitar on the beach into a new generation ‘Psyhcotrance’. These hippies reflect a truth that many among us fail or simply refuse to acknowledge. It is not about the weakness of a single human being, it is the importance of ideals, going new ways as a civilization. There are things in the Wester Western World that are not expected like intuition/emotions. I am working on the second part of the trilogy – Global state of Goa, of the mind. It goes away from Goa to portraying the world made in Goa, about the state of the world and it goes back to the idea of the global village, which already has partly materialized in Goa. But I urgently need a producer. This second part of my project is hanging fire at the moment and I hope someone somewhere will come forward to finance the project.